I’ve been enjoying catching up on TV recently. One show I really like, is Sleepy Hollow (set in the present day, it features a tough female police officer and a latter day English gentleman, Ichabod Crain. I wonder sometimes, if there’s a balance, in the universe. Is there a correlation of how an excellent series like Black List improves, and the otherwise classic series homeland is deteriorating ?. Walking group weekend away in 10 days. Really looking forward to it. Full breakfasts in the morning, hillsides in the daytime, bath then dinner and pints with friends in the evening. A return to former glory. 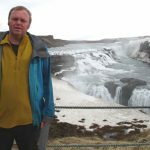 In 2009, 20010 and 2011 I only did 1 overseas trip a year, and they were both 3 day European city visits. In 2012 I visited 4 countries and up to this point, I have visited 7 countries in 2013. Next year, I’m booked on a 15 day trip to Cuba. Its a return to the big trip, other-side of the world type adventuring that I used to do frequently. I’m also off to Cyprus for 10 days on the 21st of December. We’ve rented a car and are staying at various places on the Island for 2 and 3 night stays. I really wanted to rent a Landrover, but I’ve been outvoted, and I believe were now getting a Micra. No matter, whatever gets us around. Simplify site. Improve ease of navigation. Easily viewable on all types of media and browser (especially tablets and phones). 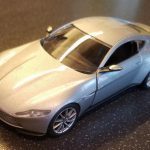 Return of embedded twitter for real-time blogging. Update content in many of the older pages, quotes and stuff like that. Might not sound like much, but there’s a massive amount work involved and were both working frantically to get it ready. Oh, for those that have noticed, sorry there’s been no update about Dubrovnik yet. I just haven’t had a minute lately, but it will be complete in the next 10 days. Well, loads of things have happened/are happening, that convince me life is returning to normal. Last Saturday, I attended a meeting of the Chester Globetrotters. 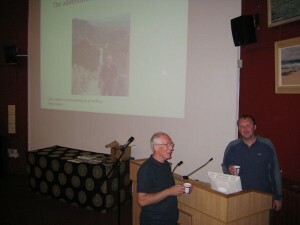 2 superb talks, one about an overland trip across Mongolia, and another about budget travel in Tokyo. Both fascinating talks. The 2nd one was interesting to me, as having visited Tokyo, I was convinced budget travel there was practically impossible. Yet no. Hotel accommodation for 2 people at £34 per night was common and using a 7 day bullet train ticket, travel across the whole country could be achieved (in significant comfort) for a reasonable amount. It was also nice to catch up with Hanna and Kevin and all the other organisers of the group, who I haven’t seen for months due to work commitments. Later in the pub chatting about travel, it was enlightening to talk to Kevin, as I had just recently completed reading his book Inshalla, Odssey to the middle east. The CDWG (which I heard about through the Globetrotters) are also having an AGM on the 21st, so should be a chance to catch up with old friends there as well. Last Wednesday, I went out to an IVC club night (haven’t seen as much of Glenn as I’d have liked recently, so it was a double celebration). We had a couple of drinks in a pub called Artichoke. 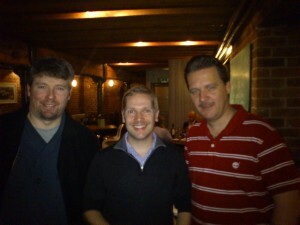 A few friends (Alex, Giles and Andy) are all growing moustaches for Movember. I don’t like moustaches, so I’m not taking part myself, but I’m contributing to the charity. Next Tuesday, I’m going to see Alan Davies at the William Aston Hall in Wrexham. He’ll be doing stand up comedy, which I’ve not seen before. 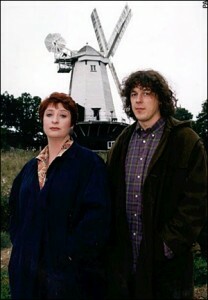 It will be interesting, as to me, he’s always been Jonathan Creek, a series I think is absolutely fantastic. Following Monday, I’m going to a talk by Doug Scott at the Catrin Finch Centre. Scott and Bonnington’s mountaineering feats are legend, but I’ve always been fascinated by their first ascent of the Ogre (a fascination that’s spanned 25 years). 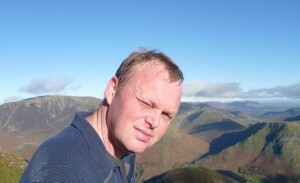 I’ve met Chris Bonnington on Skiddaw. 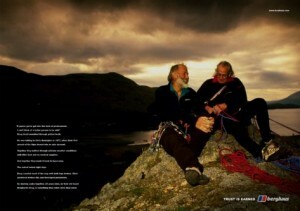 He’ll be talking about his life in mountaineering. I’ll write more about once I’ve been. The other evening Vaughn, an ace provider of printers and MFD’s invited us out on a social event. Vaughn, has never let us down, supplies top notch equipment, keeps it working, keeps a constant source of consumables and is very flexible in the delivery of the printing service. N and I went along to the wine tasting at the Ramada in Wrexham, where we met some of his other customers and his lovely wife. Afterwards, we jumped in a minibus and headed to Barton Rouge in Chester. One of the city’s best Indian restaurants. We finished of with a few pints in Harkers arms next door. We had a lovely evening, so a quick thanks to Vaughn and everyone else who attended. I’ve lately been accused of prevarication (PREVARICATION !. me ???). As Picard once said. Belief systems are based on experiences. A disciplined mind is never afraid to re-examine and re-evaluate the conclusion’s reached. What that’s got to do with the price of fish, is it was N’s birthday and it was time to get back out adventuring. 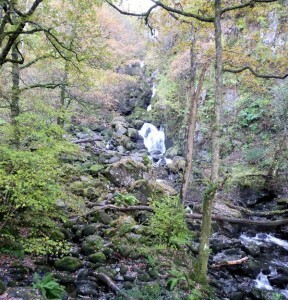 A weekend in Keswick in the lake district beckoned. We arrive at our B&B in Keswick. Very comfortable, spotlessly clean place that will be our home for the next 2 nights. We headed out for the evening, and had a couple of drinks in town (also visiting the Inn at Keswick, previously the Keswick lodge. A shadow of its former self now, but a place I’ve had many good times). 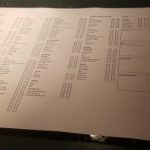 In the morning, we have very civilised breakfast, organised with a questionnaire from the night before (fab idea in my opinion. I can’t count the number of times I’ve been served breakfast, knowing that fried eggs and tomatoes are just not going to be touched). Our host offers advise on the days walking (that’s the reason were here). 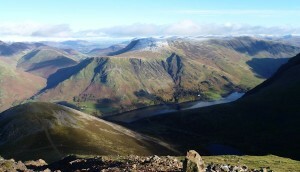 Were both keen to do Helvellyn and Haystacks. 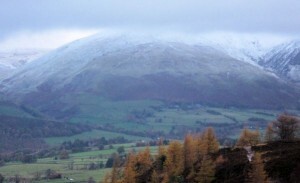 Its pointed out, that frost is at 700m and Helvellyn is well above that. Also, the weather that day isn’t good, but on Sunday it will improve. 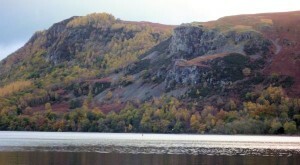 He recommends a walk, which is a circuit of Derwent water lake, but takes in Walla Crags. Reminded me of Rick Waller. It was raining as we left, but just as our B&b householder had said, the walk began literally outside the front door. We followed the path up to the crags. From the top, there were spectacular views (despite the weather) of Derwent water. As we look across, we could see the mountains with snow on them. 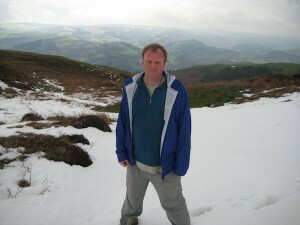 It re-affirms the decision, not to do Helvellyn that day. We drop down to the path around the like. Its easy, but one of my favourite walks of all time. Although I’ve done the walk dozens of times and have even stayed at the Lodor falls hotel, for the first time, I actually visit the Lodor waterfall, photographed above. Nearby, we stopped for lunch at the Mary Mount. They did really nice sandwiches there, and the extra chips we ordered weren’t even necessary. One surprise we got when we arrived was what to do about our walking boots. They had really nice carpet inside. Seemed only natural, to take off our boots at the door and wander around in our socks. But what would the staff think ? As it was, they seemed fine. Loads of other walkers appeared, and as we left, dozens of pairs of boots were laid next to ours at the door. On our 2nd evening, we had dinner in town. It was a sort of fusion restaurant, so I had Broccoli and Stilton soup to start, and Madras curry and naan bread as a main. Not every restaurant is so flexible. 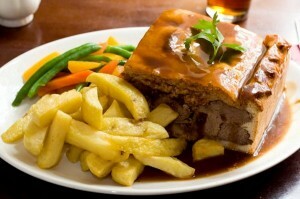 Above, I’ve included a photo of the famous “Gigantic pie” which they server in the George hotel. 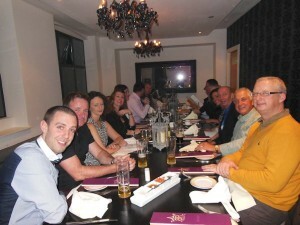 Really popular, it was standing room only at the bar, and the restaurant were taking bookings, several days in advance !. Tragically, the famous curry house in Keswick has now closed down and is looking for a new owner. I real shame I thought. Next morning, up bright and early, eat breakfast and pack up the car. This time we’ve decided to do Haystacks. It has significance to anyone who’s a fan of Alfred Wainwright, as his ashes are scattered over Innominate tarn there. Its in a place called Buttermere, and initially, we had problems with the Sat nav. In the end it took us there the shortest way, missing out the best of the views. That’s technology for you. 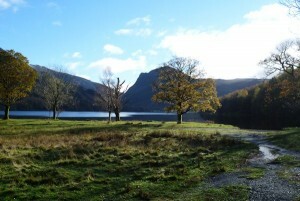 Buttermere really is a beautiful spot. I’m going to come here again (Black Sail youth hostel is near here, similar to Skiddaw house where I’ve stayed previously. We decide to make the trip a bit more exciting, and wander up Red Pike, rather than taking the easier route (which later, would have consequences). Exhausting work, but the view back to Buttermere was the best one of the weekend. 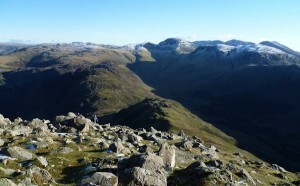 We continued along the tops towards Haystacks, bagging 3 fells along the way. As we reach the foot of Haystacks, its pointed out to me that we’ve spent so much time on the tops that its now 3:25pm. It will be dark in less than an hour. Unfortunately, well have to had home. No matter, Buttermere is a truly beautiful place, and I’ve just been handed an excuse to come back here !. Sunday dinner on the way home, and another weekend over. Well, a sad day today. Jo Howard, the ace project manager on our new building celebrated her last day (its been complete now for 8 weeks and her work here is complete). Its a bitter sweet moment for me. I’ve learned loads of useful things from Jo, and I love working with her (along with Dan, Adam, Steve and toilet Jim). But people like that, don’t stand still for long, and Jo is off for the next challenge. Whilst we could have gone somewhere more elaborate for a goodbye lunch, it seemed more fitting to relax in the superb staff canteen (one of Jo’s many success story’s). We reminisced about various fun (and sometimes alarming) experiences over the past year of the move. I can honestly say, in employment terms, I’ve gained more skills and experienced more things in the last 12 months than I have in the previous 10 years. I’m reminded of a quote by William Blake: Look around. Almost everything you can see physically around you existed in someone’s imagination before it become real. When I walk through the new building each day doing my work. I realise the bridge between that imagination and the tangible building as it exists now was almost solely down to Jo’s organisation and hard work. Okay, she didn’t actually put up any walls, and in my case, I built the network and the phones and stuff like that. But without a flag for us all to to march behind, none of it would have happened on time if indeed at all. Its been an honour and pleasure to work with you Jo and I hope you’ll keep in touch with us back here in Warrington. Well, last couple of days have been quite hard. With the onset of dark days and evenings, I’ve been feeling a bit down, due to SAD and its really affected my creativity, hence delay in this and other updates to the website. 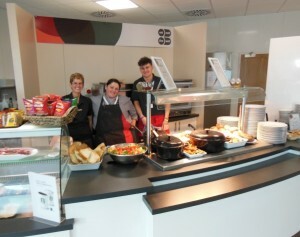 On a more positive note, one advantage of our new building, is an excellent canteen run by Dine with good food each day and a relaxing place to have lunch and breaks. In the middle of the photo, is Emily. As well as being the head chef, she drives the entire kitchen with her energy and enthusiasm. 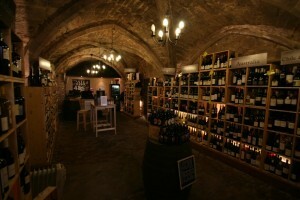 An absolutely amazing weekend, began early evening in Corks Out wine shop in Chester. For a while now, I’ve been seeing someone I really like. Not everyone is like me, and wants their whole life up on the internet, so I’ve not mentioned her specifically in the blog, until now. N (that’s what I’ll call her) really enjoys drinking wine (not the way I enjoy drinking Carling, it’s more about the appreciation and the experience). It’s nice when you meet someone with similar hobbies to yourself (like hill walking) but it’s also great to try out new things with someone nice. Every couple of weeks, they do a wine tasting at Corks Out. We normally pay a couple of quid and then get to try 6 wines, representative of a particular region or supplier. The evenings are normally lead by the shop manager Tom (an extremely talented and charismatic chap, who can engage all levels of wine expertise). Okay, so I’m not a wine expert, and some of the specialist stuff is a bit lost on me. Thing is, I love trying new things. For example, did you know, if you ordered a glass of White Zinfandel, it would arrive and you would probably send it back thinking it was Rose. In reality, Zinfandel normally creates a deep red wine, so even when processed into white, it keeps some of its colour. After this, we head to a restaurant I’ve always wanted to visit. 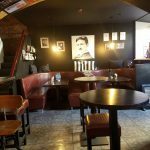 It’s been open a couple of years, and I’ve heard amazing things about Upstairs at the Grill, but never managed to eat there. Originally a fan of Jamie Oliver, I remember he once said the key to running a restaurant was simple food, cooked to perfection with amazing ingredients. We head home, and get some rest. There’s a lot happening the next day. I love being outdoors, but honestly being wet and cold is one thing I simply cant stand, and as long as I can remember, I’ve always hated it. N couldn’t decide what to buy me for Christmas last year. She knew I’d been in a helicopter, submarine and stuff like that, but I’d never mentioned White water rafting. 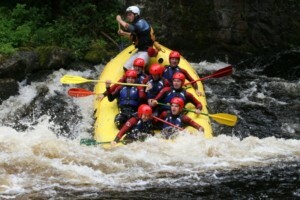 The main reason I’d never done white water rafting, is that the very idea horrified me. I’d had the chance 3 times before, in Borneo, Peru and Andorra. On 2 occasions, I actually paid for it, but couldn’t bring myself to go. As I opened my card I found 2 places booked on a white water rafting adventure at the National White Water Rafting centre. On the day of the event, this wasn’t something I was looking forward too at all. As we left the car to go to reception, I felt like a man walking to the gallows !. Things were OK, until I tried to put on the wetsuit, and realised how ridiculous I looked in it. We headed up the hill, put the boat into the water and off we went. A dress rehearsal for hell !. Cold water splashing into the boat and soaking me. Awful. After the first 2 goes, it got better, and the 3 after that were quite fun (I think the excitement had warmed me up). So, will I ever do it again. Unlikely, but it wasn’t anything like as bad as I expected. Another lesson, to not be frightened to try something new. 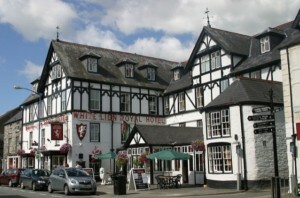 We’ve decided to make a weekend of it, so we head to the White Lion Royal Hotel (I really liked the hotel but couldn’t help thinking the words were in the wrong order). Bath and a couple of beers. Dinner in Plas-Yn-Dre. Up the next morning for a cracking full Welsh breakfast. We had intended to do the 2 lakes walk in Bala (and after buying the wrong map, I bought the correct 1 with the 2nd purchase). Unfortunately, we were “enjoying” some of the worst weather that the country had seen for an entire year. 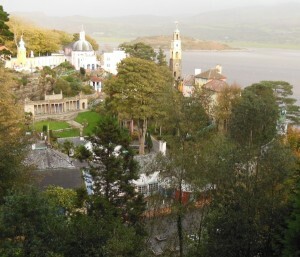 A rethink was needed, so we instead decided to visit Portmeirion. The rain stayed away, and we wandered for hours, around the forest and next to the ocean. I even found a viewing point high above the village, where I could take this shot. Wandered by number 6’s house from the Prisoner. 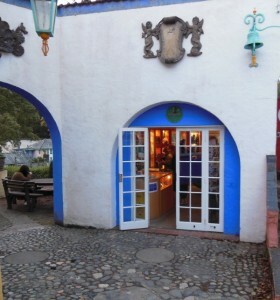 As you’ll know if you’ve been there, its now a souvenir shop. I had a look inside, but I already have a mouse mat and mug, so didn’t buy anything. We had dinner at an Italian restaurant in the village, then set off home. What an absolutely fab weekend. But life isn’t all smiles. 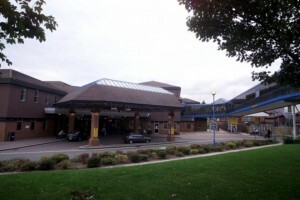 I’ve been a regular visitor at the Countess of Chester hospital recently (nothing serious, I have Polycythaemia, which means my blood is very thick. The “cure” is simple, they just take a few pints out, to thin it out again. As I was walking to my appointment recently, it was raining, and I saw a young woman sitting out on the grass, in just a jumper, in the pouring rain. I wondered what on earth she was doing. As I drew nearer, I could see that she was beside herself with grief. I gestured if she was ok, and she gestured me away, she wanted to be on her own. Can only guess, that she lost someone close to her in the hospital. The message, to me though, is simple. Life doesn’t go on forever. Make the most of every moment, and dont put off your adventures. One day, there wont be a tomorrow, and the chance will be gone.